Slovenia is a tiny beautiful country located on the south of central Europe, which you should definitely include in your Euro trip itinerary! I had a quick stop in Slovenia for my Eurail trip, during which I had visited 6 countries and 20 cities in 30 days. Of course, as the trip was quite intense, I only had a really short time to get to know Slovenia. If you only have a couple of days in the country, here is an extremely quick guide through Slovenia. 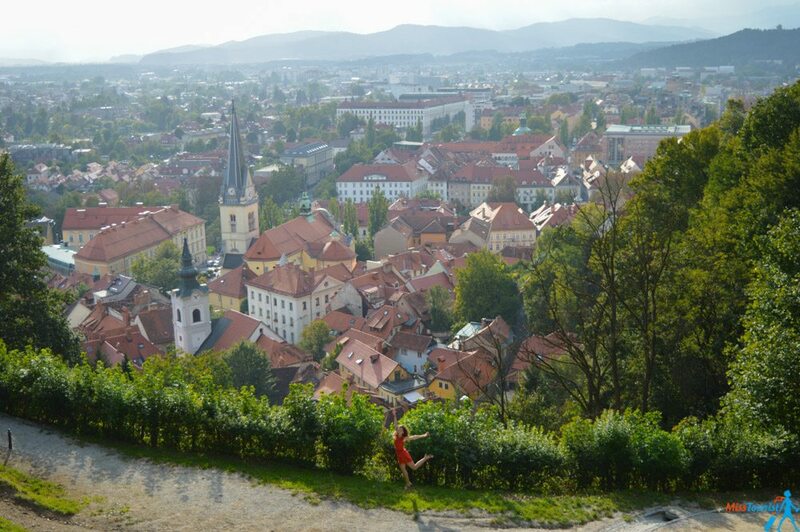 Firstly, you should see the charming capital of Slovenia, a city with the population of 300 000 people called Ljubljana. (Pronounced as [lyu-blya-na]). Ljubljana means “Beloved” in a literal translating, and it didn’t take me long to fall under its charm! How many days is enough for the city? For a quick visit 1 day would be enough, but if you want to go to museums and take your time in the city, stay for 2-3 days. I stayed for 1,5 and I would say it was enough, but I did not visit any museums. 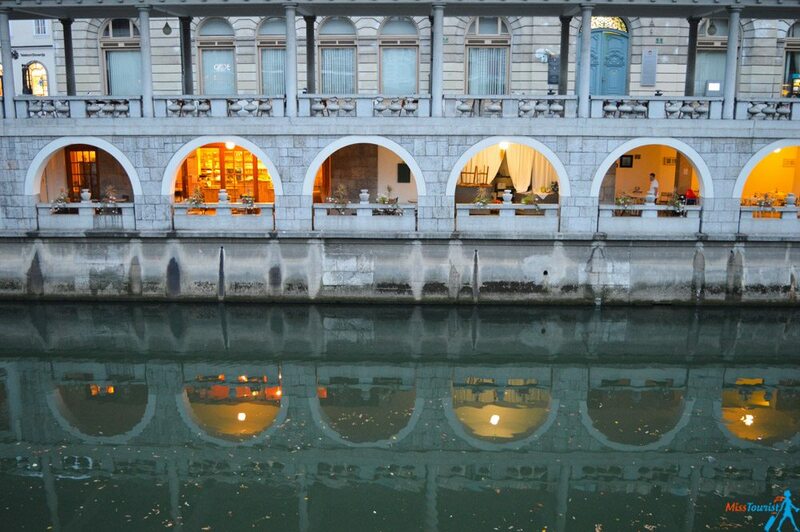 The Triple bridge, as the name suggests, is a group of three bridges across the Ljubljanica River. This pedestrian bridge is an idea of an architect who did not want to destroy the old bridge, but needed to enlarge it. The area around it is the heart of the city, go for a walk along the river, visit a market in the morning. I guarantee you will enjoy it. 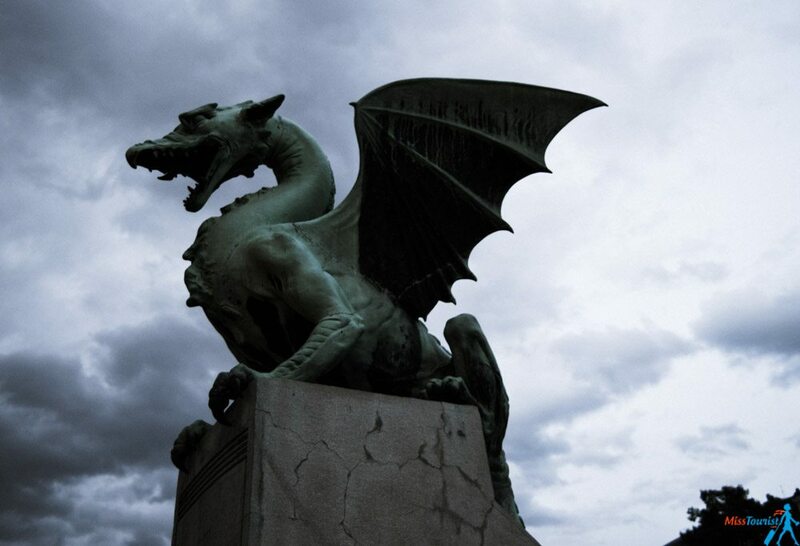 Dragons are awesome and Ljubljana has always had a lot of legends connected with them! You can find dragons everywhere, just keep your eyes open! The main one of them is without doubts The Dragon Bridge that is 7 minutes away from the Triple bridge. 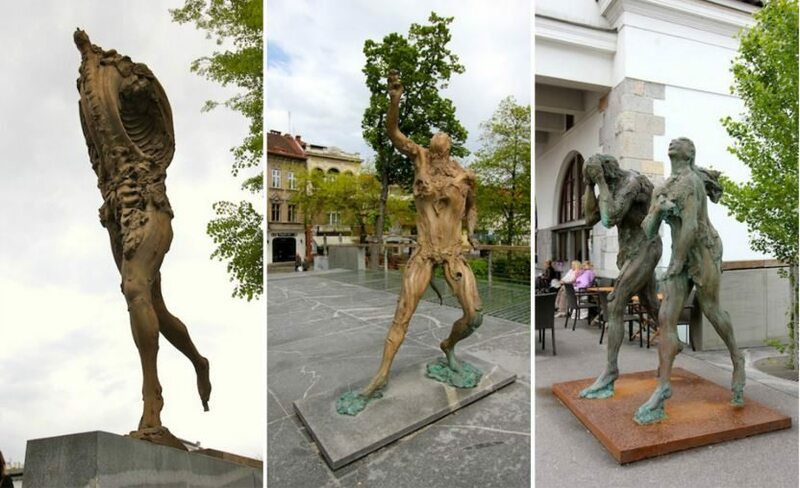 It is one of my favorite sights of Ljubljana, it represents strength and courage. 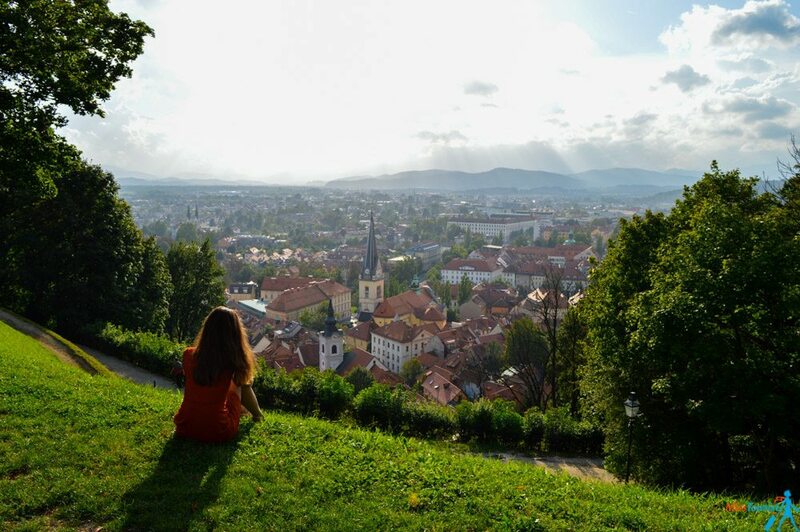 Ljubljana Castle is a beautiful medieval fort with a lovely view to the city. Walking around the castle is free, the price to enter the museum is 7,5 Eur. You can save 10% if buy your ticket online. The castle is located on the hill, you can go up there by walking or taking a funicular. Located on the northern outskirts of the Center District, this park is the lungs of the city! It is a biggest park in Ljubljana, don’t forget to pay it a visit as it is a great place to relax and have a picnic on a warm summer day. St. Nicholas church (or the Ljubljana cathedral) is an easily recognizable landmark of the city. 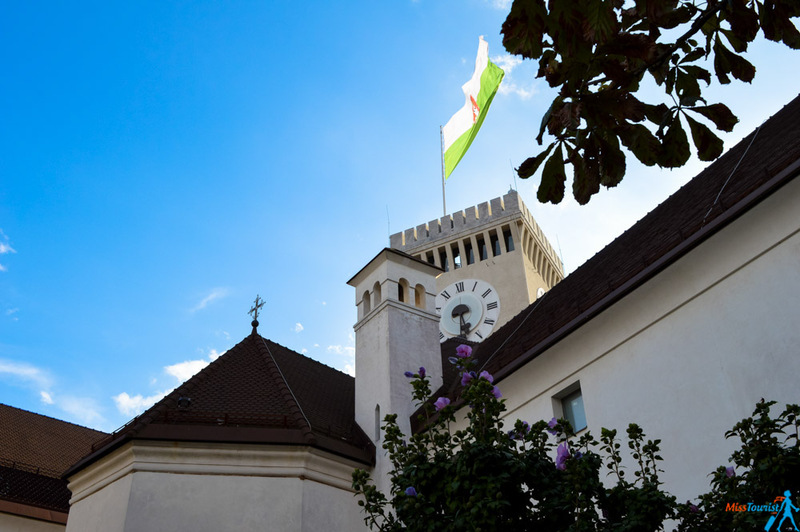 Take a look at the main entrance, it depicts the history of Slovenia and is just unusual. What I did is I took a Ljubljana walking tour that gave me a great city introduction. 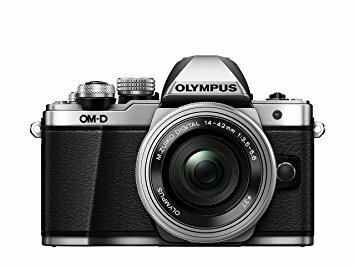 I can definitely recommend it because it has great value for money! Things that are included in this 2 hour tour – traditional food tasting, a train to go up to the castle, a funicular to go down and a licensed guide who will tell you everything about the history of the city and about its today’s life. The cost of the tour is 10 EUR, 9 EUR if you book it in a touristic office. I do recommend taking it in the beginning of your trip. This way you will have a general overview of the city and then decide what you want to do. Štruklji – a bread dough rolled out, filled with usually cottage cheese (or herbs like tarragon, or walnuts if it’s a sweeter version), then rolled like into a roulade, wrapped in cloth and cooked, not baked. I think sooner or later we all get tired from continuously staying in hotels and need to take a small break. Don’t you? It happened to me during my 30 days train trip, so this time I decided to stay in an apartment. It was a great idea, as I could feel a bit like home! 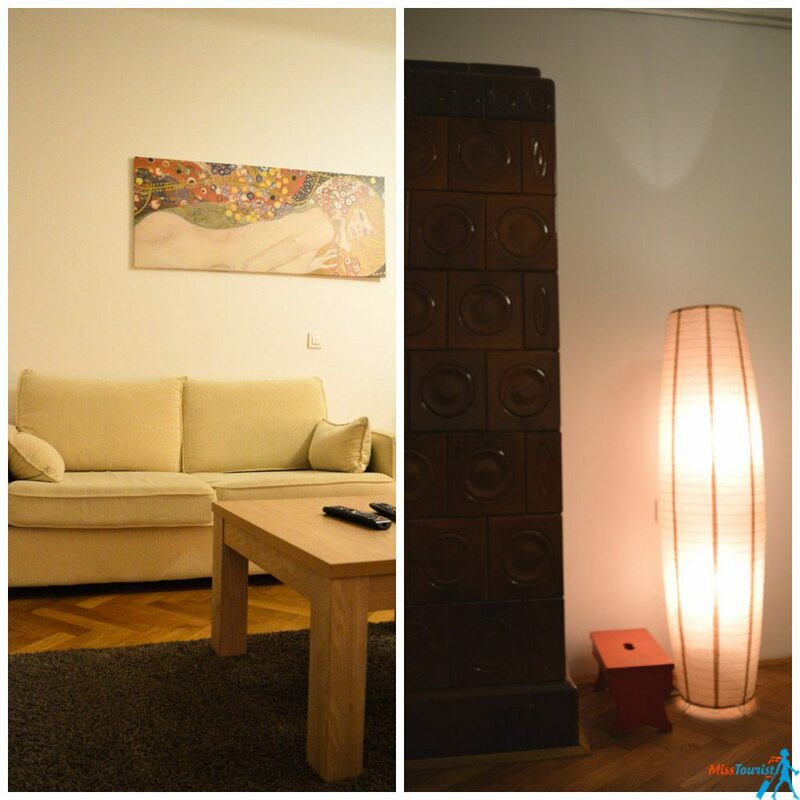 I stayed in an apartment called Apartments Ljubljana – Prule. 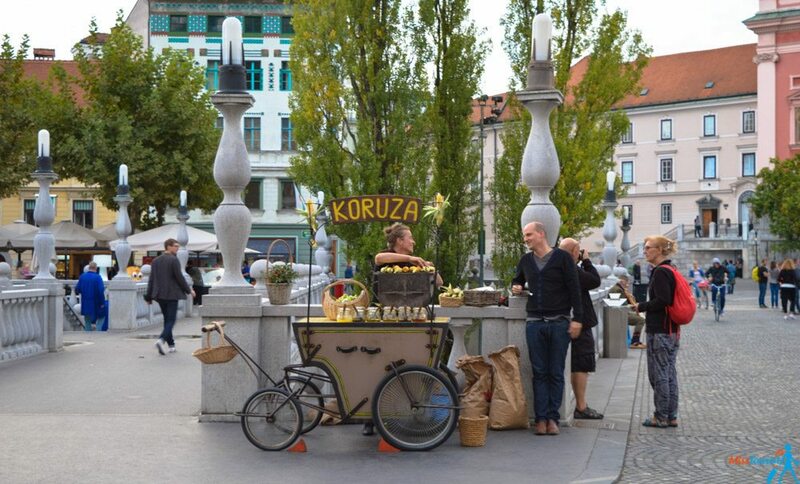 It is in a walking distance from the city center, close to the Ljubljana castle. My apartment had 3 rooms, which is especially great for families: there is a cuddle and a double bunk bed in a separate room. The kitchen is equipped with everything you might need to cook your own dinner, which I took advantage of! When I was there, the owner told me, that they are about to renovate the whole apartment including the furniture. Thus, if you stay there, you should already stay in a brand new apartment. 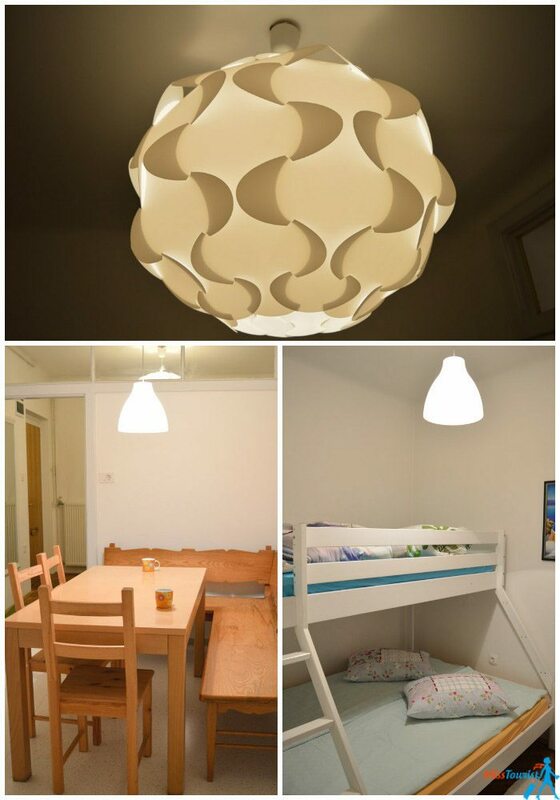 Book your stay in Ljubljana-Prule apartment here! Now, as you are finished with Ljubljana, what to do next? 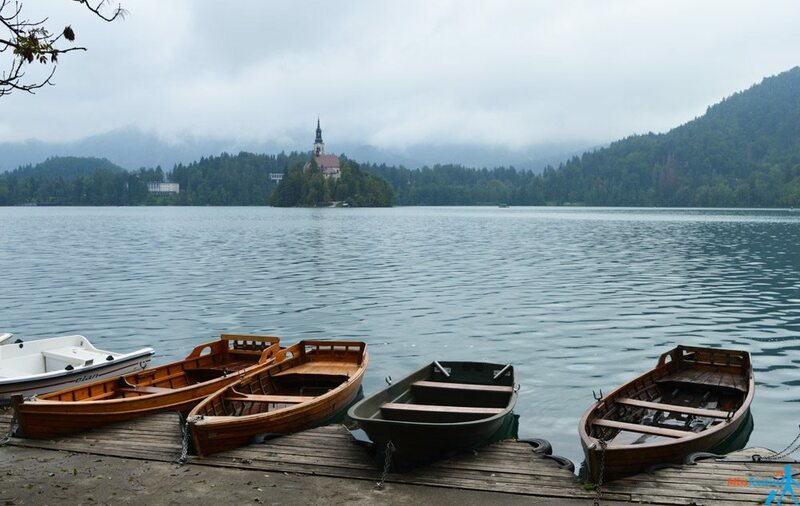 Have you heard about Lake Bled? Lake Bled was recommended to me by all my friends who have already been to Slovenia. “Oh, you definitely have to go there!”, so I made sure to include it in my plan. The area around the lake is a national park that you can reach from Ljubljana easily in less than an hour (the detailed explanation will be given below). Lake Bled is a turquoise lake with a beautiful island in the middle. 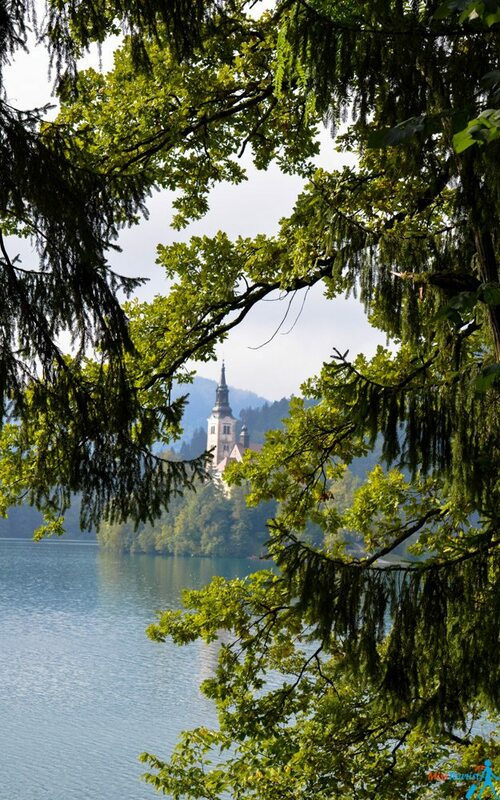 There is a pilgrimage church on the Bled island. You have probably seen some pictures of this magical island already, haven’t you? 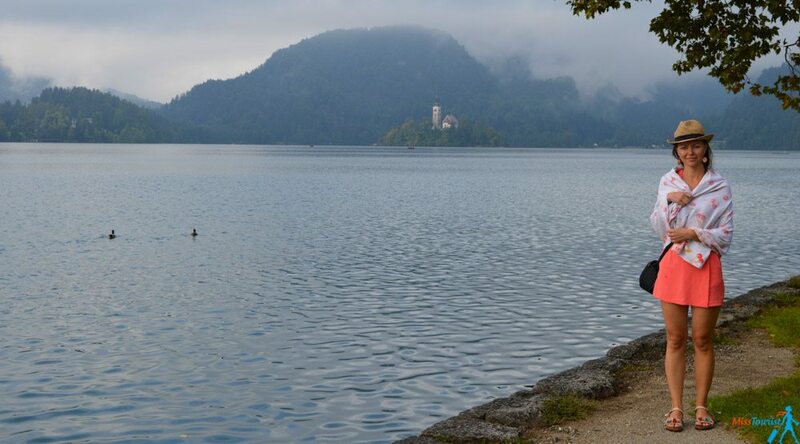 How long should you stay in Lake Bled? Some people say – “3 days weren’t enough, you should stay longer”, some say it is totally doable in half a day. I agree with both. There are tons of things to do near the Lake Bled, if you are searching for activities. There will be no problem to find activities for 3 days – paragliding, canoeing, segwaying (is this even a word?!) etc. It is absolutely great for people who want to relax and stay in a hotel nearby enjoying the fabulous view every day. But if you are short on time and just want to see the beauty of the lake, one day trip would be enough. In fact, I did it in half a day, but that’s because the weather was not good on my day of visit. It was rainy and foggy for the whole day, and I was absolutely not dressed for this kind of weather, so I had to leave fast. Look at this – I am wearing a towel (the one that I took in case I want to take a swim in the lake, huh!). Ah, yes, you can actually swim in the lake, so take your swimming suits and towels if the weather is good! I bet it must be a great experience, the water is transparent and crystal clean. It is similar in Plitvice lakes in Croatia, but you are not allowed to swim there. Note that the weather in Bled can by drastically different from the one in Ljubljana (even if it is only 45 minute drive). When I came back to the city, there was no sign of rain and the weather was beautiful. So, check the weather forecast for Bled, not for Ljubljana when you go! The entrance to the lake itself is free, if you want to just walk around the lake (about one hour to make a full circle of the lake). But if you want to go to the island in the middle of the lake, there are boats that will take you there for a fee of 12 EUR. If the weather is good, you could also go up the castle to see the marvelous view, the price to visit the castle is 8 EUR per person. 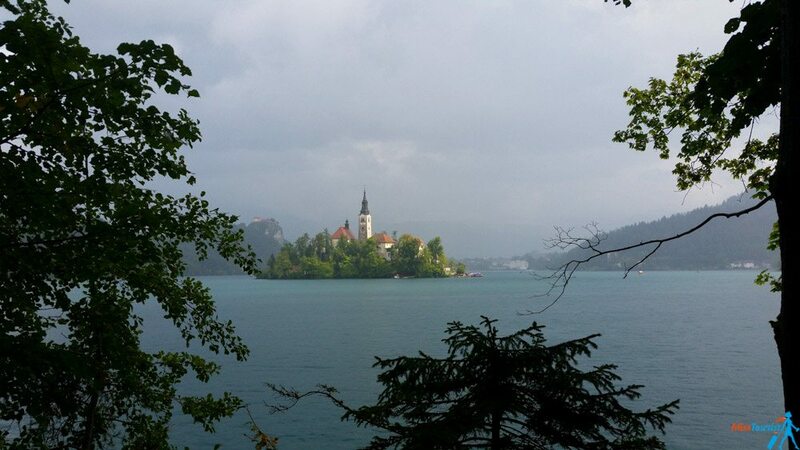 By bus: the direct bus is 6 EUR and it takes 1,5 hours to get from Ljubljana to Bled Jezero. By car: Just follow the E61 road, and you will be there in less than 40 minutes. I have heard that parking spots are scarce near the lake, however, try to find a spot. Leaving your car unattended will most probably lead to a fine. By train: (that was my preferred option, as I used my Interrail pass to go there). There are 2 options to get to the lake by train. You can stop in Lesce-Bled, the trains run more frequently to there. The stop of the train is 4 km away from the lake. You should take a bus (1,3 EUR) or a private shuttle (3-4 EUR) that will take you to the entrance in 5 minutes. 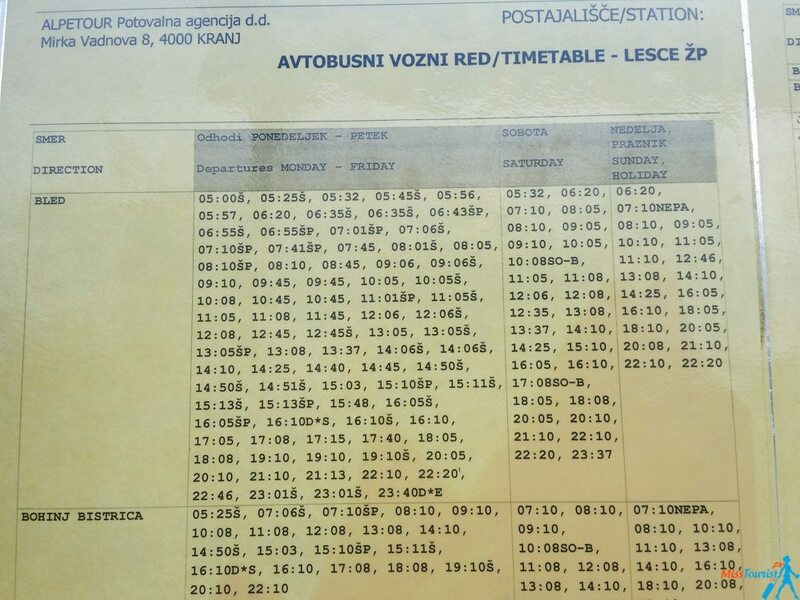 The schedule for the bus is here. You can also go to Bled Jezero station, but the trains from Ljubljana are less frequent, they run every 2 hours or so. Check the schedule here. Luxury (US$ 250 and up): Grand Hotel Union Ljubljana is home to breathtaking views and its époque design will make you fall in love with it at first sight. Hotel Cubo is the definition of luxury and good taste. Past guests have pointed out their fantastic cuisine and highlighted how well the staff is interested in making your stay there perfect. Middle (US$ 100 – 150): City Hotel Ljubljana is the go to place for hospitality and excellent services. Guests have been impressed by the fact that they let you use their bikes to explore the city. Hotel Lev will offer you a breath of fresh air as it has views to the Tivoli Park and also the city centre. Budget (up to US$100): Hotel Emonec’s room design is based on wood and it has been rated as an excellent spot for those who want to explore by foot the city. Hotel Florjančkov Hram is for those who want to experience cuisine made with fresh local products. Past guests have stated that hospitality was a general rule here. If Ljubljana and Lake Bled were not enough for you in exploring Slovenia and you want to visit more sights in the country, my suggestions would be Postojna and Škocjan Caves, Lake Bohinj and Triglav National Park. Those are the things I myself want to visit when I come back to Slovenia one more time! Also, Croatia is so close! The places that I recommend visiting there are Pula, Plitvice lakes and Split (my favorite!)! Slovenia is tiny, but very beautiful, you can totally see the main sights of the country in a few days, just like I did. If you will fall in love with Ljubljana and Lake Bled, which are the main tourist attractions in the country, you will definitely want to continue your exploration of Slovenia on your next visit (just like I did). Disclaimer: I was invited by Apartments Ljubljana – Prule, my opinions will, however, be always my own. 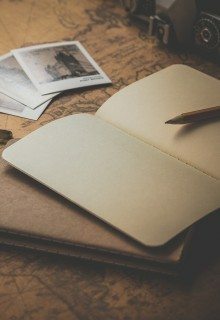 Thank you very much for reading this article, if you liked it, please share! Have you been to Slovenia? Would you add it in your bucket list? 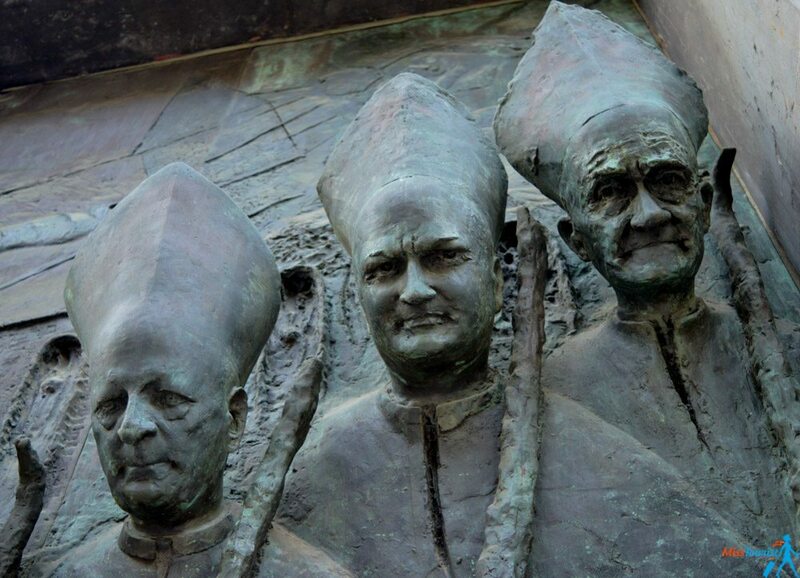 Those weird statues are Adam & Eve, Prometeus and Satyr. Hey Silvo! Thanks for clarification! I actually asked my tour guide about the statues, and that is what he told me – Adam and Eve. Hi Yulia. Nice to see you visited Ljubljana and Bled. Slovenia is a great country, my homeland, and I would say there is no limit on how many days a person should spend there. Any day spent is a day well spent, be it 3 or 30. 🙂 Since I do foodwalks in Ljubljana, let me just remark on the štruklji: they’re not exactly dough balls stuffed with meat, but a bread dough rolled out, filled with usually cottage cheese (and sometimes other herbs like tarragon, or walnuts if it’s a sweeter version), then rolled like into a roulade, wrapped in cloth and cooked, not baked. So far I do not recall ever having a meat filled štruklji but maybe I haven’t eaten them all in my life. 🙂 Keep exploring the world and welcome back to Slovenia anytime. I’ve been to Slovenia twice now and hope to go back We found family related to my grandparents wor came from Slovenia. Beautiful country and welcoming people. An amazing country to have roots from! Thanks for sharing, Frances! I was there a month ago and totally loved it. The views from the open terrace bar of the ‘skyscraper’ Nebotičnik are awesome – especially at sunset. 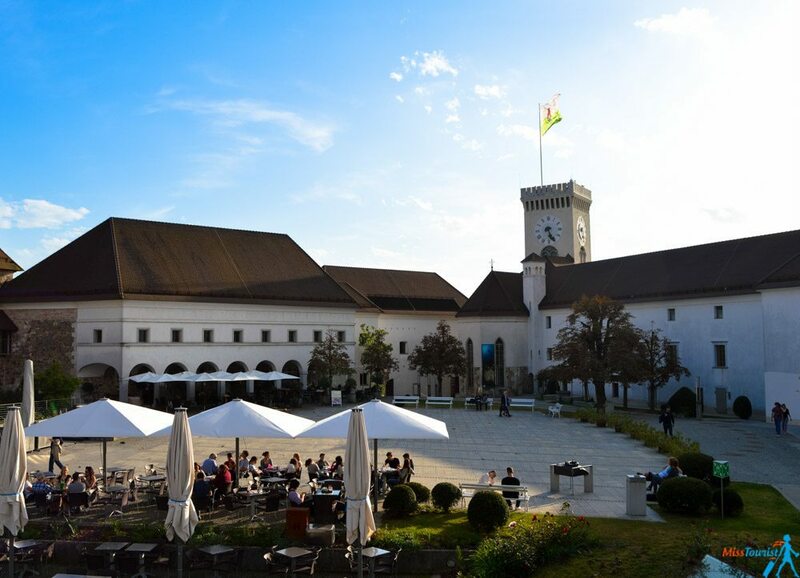 And on Fridays, weather permitting, there’s an ‘open kitchen’ beside the cathedral where top chefs from all over Slovenia gather and cook foods from all around the world in front of you for 3/4/5 euros a sample. Plus quality local wines to try by the glass. Excellent. Finally, half an hour north of Ljubljana is an amazing small historic town called Skofja Loka, with regular buses both ways. It stands where two rivers meet and is a photographer’s dream! thanks so much for commenting, tons of useful info here, i want to go back and do all that now! Keep in touch and safe travels! Really nice article about Slovenia Yulia! I was there 2 weeks ago with a cruise chip. I did not expect much because the country was not known to me. I fell in love with this small country and would like to go there again one day. Love your photographs. Do go to Bohinj, there’s a cable car that takes you up to 1700 m, to Vogel ski resort. You are in the middle of the alps in flipflops without even breaking a sweat. Our highest mountin is right in front of you and the lake below. One of the best views in Slovenia. Love your blog Yulia. I am visiting Slovenia next month and this is a great reference guide. Thank You for all the detailed information. Where can I find the best potica? I like the walnut filling.